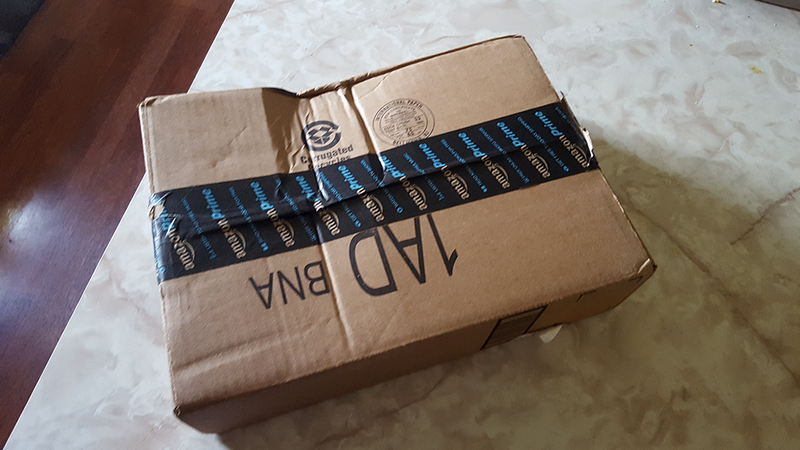 Today a package showed up on my doorstep (and another one showed up in my mailbox as well, but that's another story for another time). Uh-oh. It looks pretty damaged. Oh well, I thought. 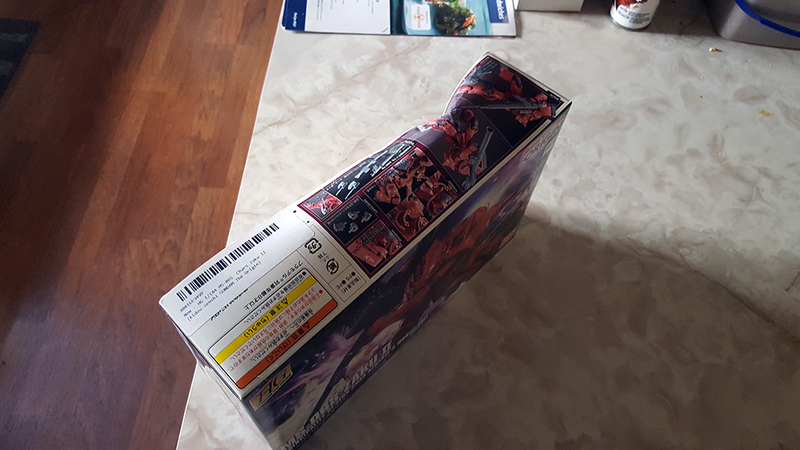 Surely the box inside the box isn't that big. This is bound to be empty space. OK, before I go any further, let me leave you in suspense for a moment and talk about what I'm building. 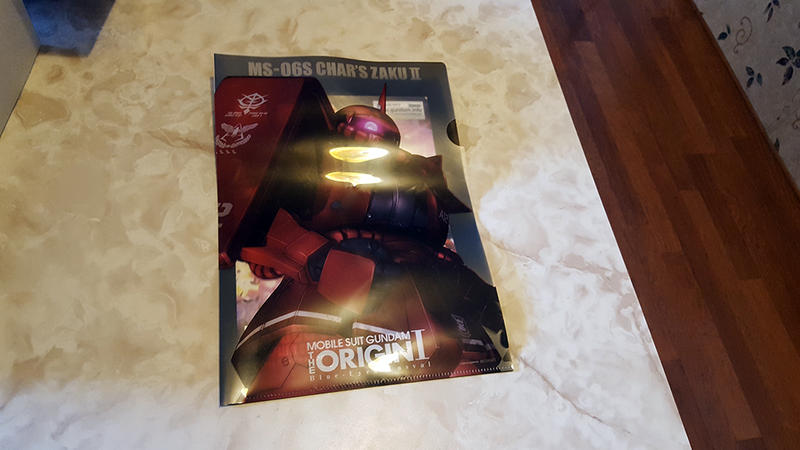 I bought a Gundam model kit form Bandai. If you're not aware (I wasn't until a few weeks ago), building them is apparently a pretty popular hobby. This is a bit surprising to me because the anime the models are based on is rather old and the models themselves are snap-together kits. I watched the anime a bit years ago. I don't remember disliking it, but I don't remember being grabbed by it, either. I'm not in this for the specific character, more the generic cool robot and something to do. 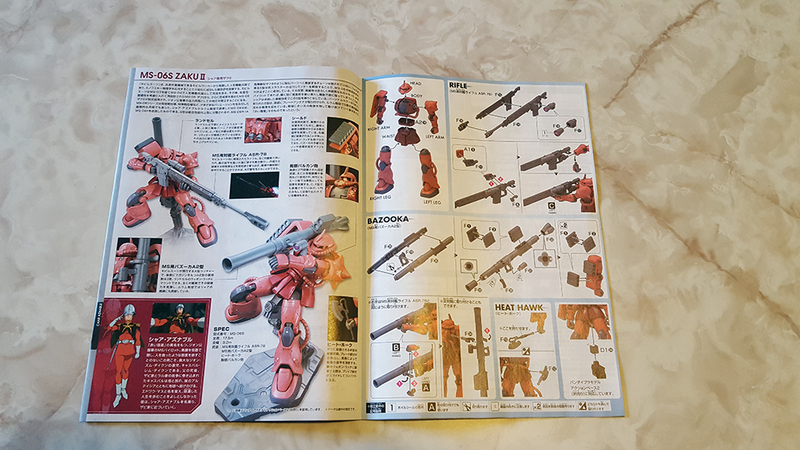 Gundam model kits come in a variety of scales and grades, from hobby grade 1/144 scale models to 1/60 scale real grade. 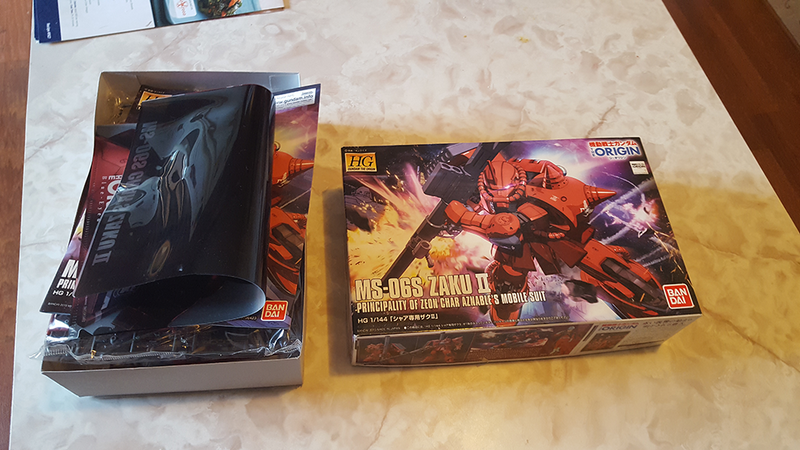 For my first foray into this, I decided to go with a 1/144 scale hobby grade kit - basically the cheapest/most low-end kind you can buy. I think I spent about $12 on it, and my expectations were pretty low. Would I get half a dozen pieces that would take 2 minutes to snap together, but that I could then spend a little time detailing and weathering? For $12, I would have been happy with that. Inside, the first thing I found was.... an empty plastic folder? That's kind of weird. 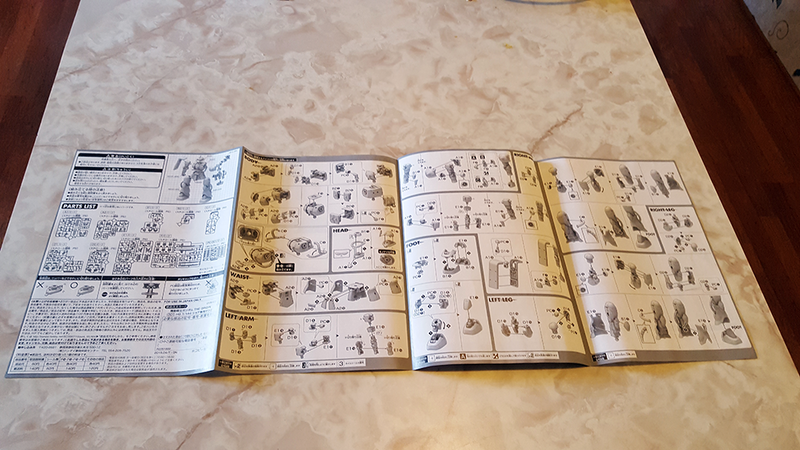 I suppose it's to keep my instructions in when I'm finished, so I can file them away with an ever-growing collection of instruction booklets, after I pour hundreds of dolalrs into this new-found hobby. Whatever. Time to check the pieces for damage. Holy crap, there are a lot of them! This is way more, and way better than I was expecting. Also, nothing seemes damaged - whew! I wasn't expecting a lot for a small snap-together kit, so this is a pleasant surprise and it will definitely keep me busy and looks like it will still be something of a challenge (at least given my eyesight, if for no other reason). There's just one problem. 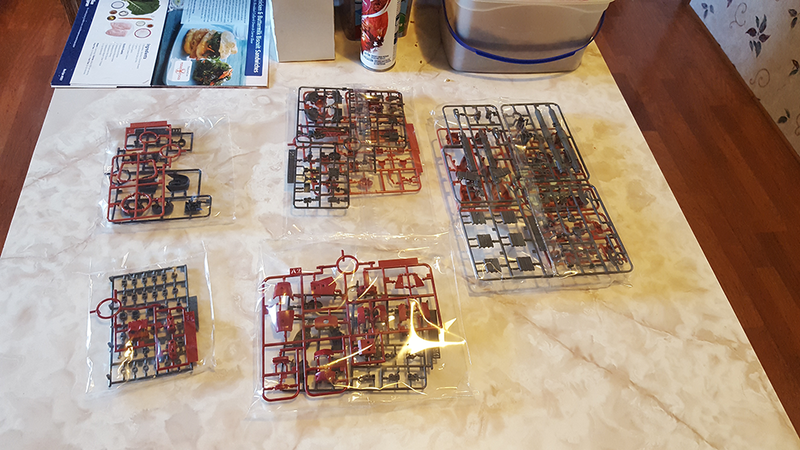 Oh well, at least the part numbers are in English and all of the sprues are individually bagged, so any pieces that may have fallen off won't have gotten far. It should be relatively easy to find the pieces I need. 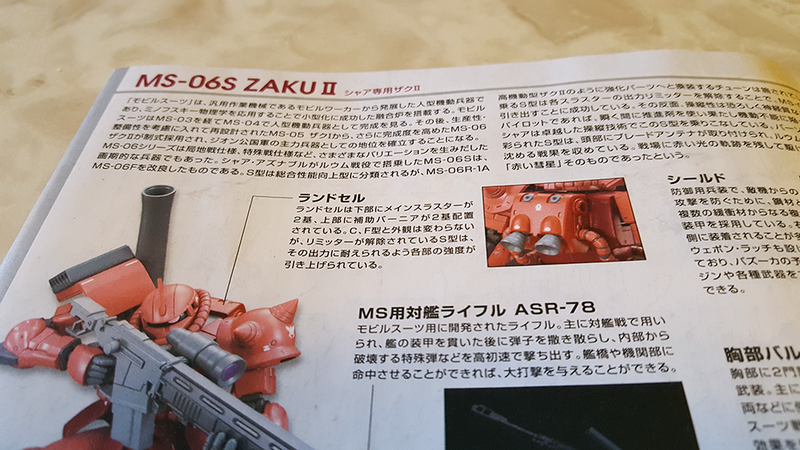 As complex as this kit is, I may not do a lot in the way of weathering and painting to improve on the flat-plastic colors that a hobby grade kit gives you. I may just build this as is. I've also toyed with the idea of buying this same kit again to paint up, because I think that could be an interesting side-by-side display. We'll see how it goes. I'm looking forward to the weekend to get building.